You’re dedicated to improving your customer experience. You want anyone that spends a dime with your company to feel like they made the right choice, to tell their friends about you, and to keep coming back. But what happens when a problem arises? If one of your valued customers calls you to answer a question or solve an issue, is your call center set up to handle their issues without dragging down your NPS or otherwise denting their overall customer experience? And most salient to this particular post, are you going to put them on hold? The unfortunate reality is that any amount of time on hold can begin to impact customer experience. In fact, a recent survey found that 60% of customers felt that being on hold for just one minute was too long. Further, the longer that a customer is on hold the worse his or her perception of how long they are on hold becomes. A customer who is on hold for 5 minutes feels as if they have waited for an hour! While putting customers on hold can be unavoidable depending on your call center resources and call volume, it is is a critical issue to address if you’re serious about customer experience improvement. While the best solution to long hold times is to figure out how to shorten or eliminate them, that is not always possible. Following are a few strategies that can keep focus on customer experience when callers are on hold. One way to mitigate the impact of longer hold times is to look at the training you’re giving your call center employees on dealing with customers who have been on hold. When a customer has been on hold, your team must be able to placate and calm the customer before even addressing the issue at hand. Be sure that your call center employees are trained in the best strategies for addressing these kinds of issues and you may be able to recover some of your customer experience clout, even if hold times remain an issue. 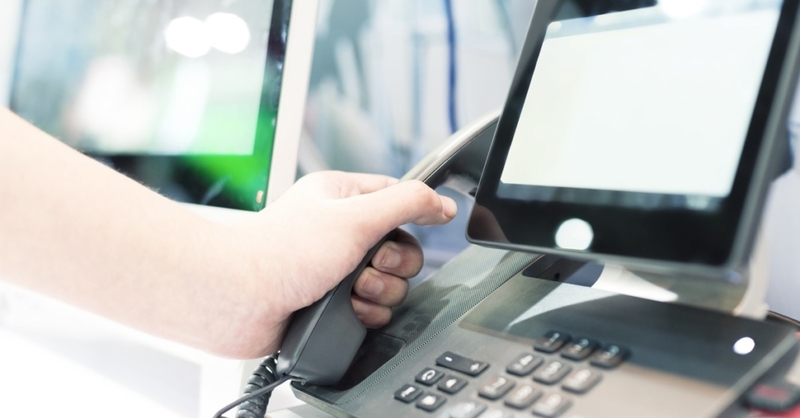 Modern phone systems make it possible to tell customers how long they can expect to be on hold and/or where they stand in the hold queue when they call in. When customers have more information about how long they will be on hold, they can decide whether they’d like to wait or call back at a later time. If you don’t currently have a phone system that can tell your customers how long they may be on hold, it could be time to upgrade to a cloud call center. VoIP call quality has improved dramatically over the last decade and can be used as a cost-effective call center solution that comes with features that will improve your customer experience. In addition to providing details about expected wait times, you can use a new system to explore hold alternatives, such as offering the opportunity for callers to get a call back rather than waiting on hold. Nobody likes to be put on hold, whether you’re calling your bank, your mechanic, or your mother. The better you can manage hold times at your call center, the happier your customers will be. https://www.affiliatedcom.com/wp-content/uploads/2019/01/3.5.jpg 627 1200 kkoski https://www.affiliatedcom.com/wp-content/uploads/2019/01/Affiliated-Communications-logo.png kkoski2019-01-24 14:12:262019-01-24 14:47:58How Long Can Someone Be On Hold Before It Impacts Customer Service?